Description: Is your walk with God stale? Are the same old things just not working as you seek intimacy and God's power for you life? 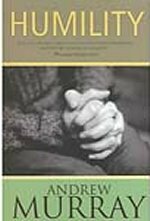 In this classic text by faith-great Andrew Murray, you will find refreshment for your spiritual journey and learn that humble dependence on God is the basis of all genuine blessing. In Humility, you will learn to model your life after Jesus' life, find joy in service, and add power to your witnessing. Bring your focus back to God and walk in His will as never before! Humility is the essence of a glorious, blessed spiritual relationship with God. Few authors have the courage to approach the subject, but Andrew Murray makes the Bible's teaching on humility perfectly clear. He exposes our selfishness and provides the secret to living in humility.